Railroad Board is a smooth, thin, bristol-type board, colored on both sides, that is used for signs, posters, mailing cards, tickets, tags, and so forth. Each sheet is coated on both sides with bright colors or white. Thicknesses are 4 ply (0.014") and 6 ply (0.020"). Individual sheets are 22" × 28" (56 cm × 71 cm). Quarter-sized 11" × 14" (28 cm × 35.5 cm) sheets, the same size as U.S. legal paper, are available in assortment packages. 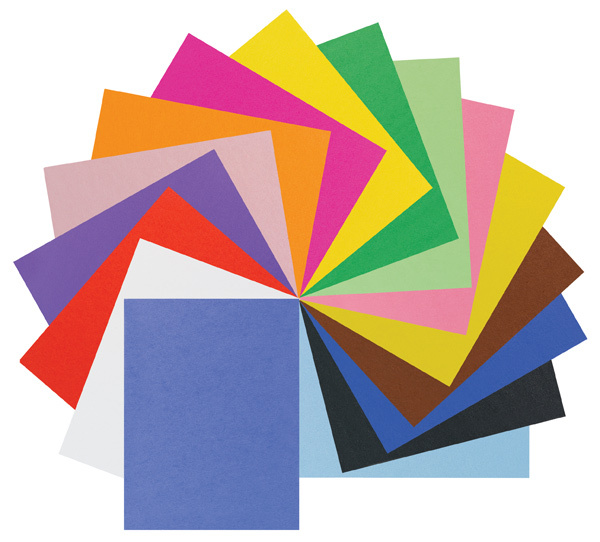 Assortment Packages — Both 25-sheet and 50-sheet packages, each with a wide range of colors, are available. Metallic Board — The same great quality as above but in shiny gold or silver finish. Metallic finish only on one side of board.